There are so many great new tools, notions, services and various modern technology you can use for sewing, but sometimes we don’t even know they exist. How do you choose the tool if you never heard about it? So I created this guide to help you cut through the noise, by listing some of top-rated gadgets and gizmos you can use in your sewing room. I’ve either used or own most of these items. They made my life a lot easier and hopefully, they will do the same for you too because you need to arm yourself with the right tools to succeed, right? So, have some fun reading about them. 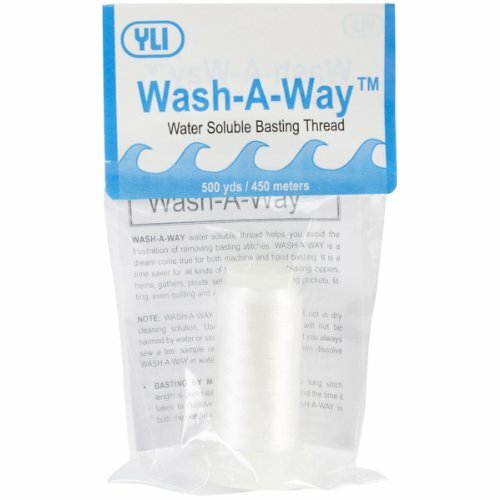 It’s called “Water soluble thread”. It looks just like a regular thread. I wound a bobbin with it and threaded my sewing machine needle with it. It made nice stitches. But after I put water on it – it disappeared! So no more frustration of removing basting stitches! It is good both for machine basting and for hand basting, including basting zippers, hems, gathers, pleats, set-in sleeves, positioning pockets, fitting, even quilting, and applique. And the best part? 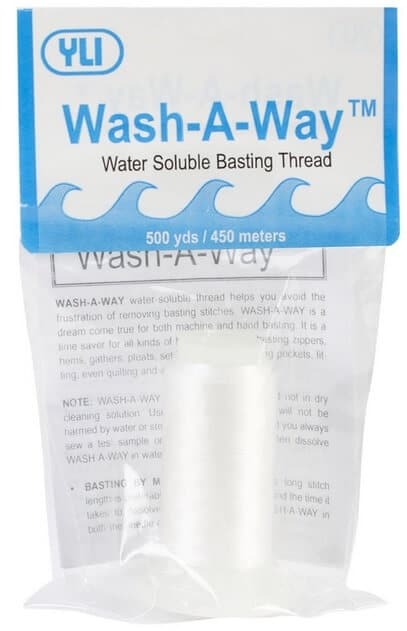 No more worries about sewing and quilting over your basting thread! It disappears without a trace. But you have to use water or steam to dissolve it, so it can be used only with fabrics that will not be harmed by water or steam. 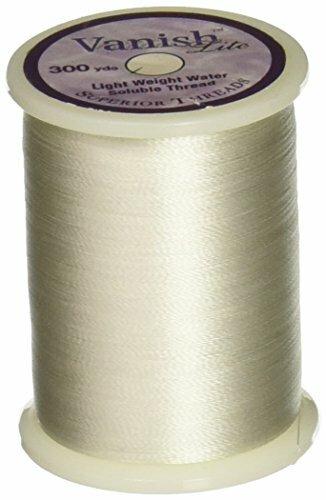 This is a unique thread that you sew into your fabric like a regular thread, then iron, and it sets your hem, trims or fabric in place. 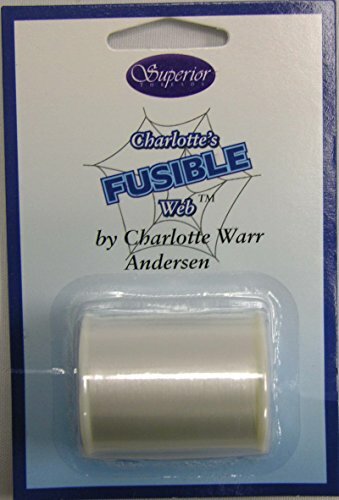 Fusible thread is a terrific product for fusing appliqué pieces in place. 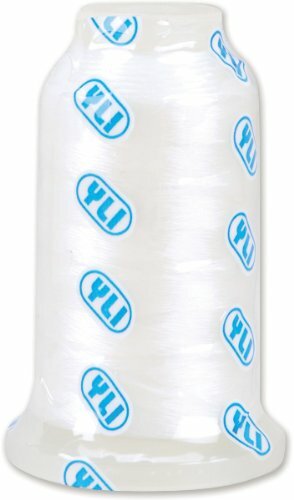 Made from nylon which melts at a fairly low temperature, the thread looks a bit like dental floss and can be used in the bobbin or through the needle. 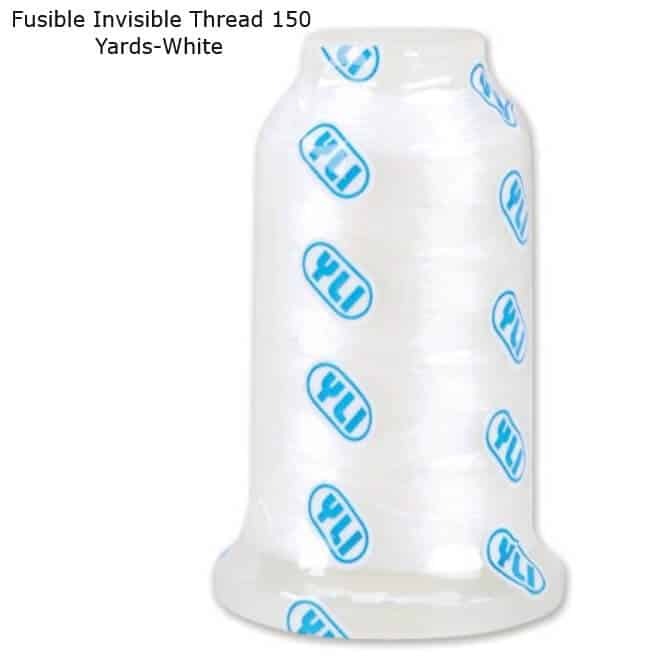 Fusible Thread is a temporary bond for holding trims or fabric in place (rather than pinning or gluing) without the stiffness or flatness that often results when using traditional fusible products. Use it to temporarily assemble or construct your project. No pins needed. And, no shifting or moving — or puckers at the end. 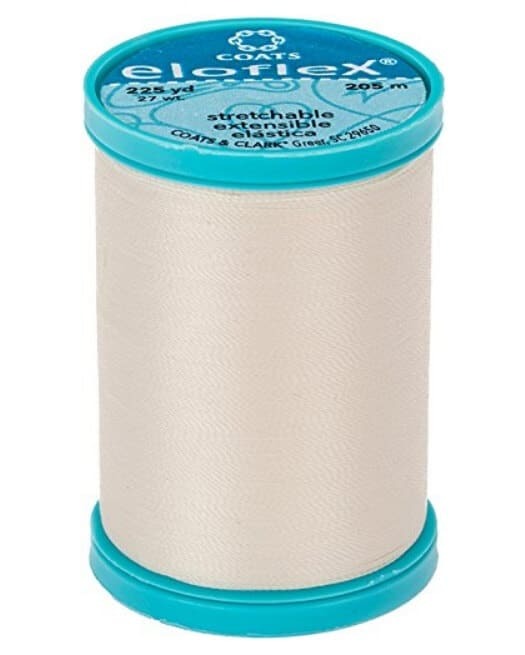 Eloflex – the first ever stretchable thread from Coats that can be used to sew knits in a regular sewing machine with just regular straight stitch function. Special stitches (like small zigzag) or a serger are not required to sew knits or stretchy woven fabric with elastane. Just wind the bobbin with Eloflex thread and use the thread both in the needle and the bobbin to sew stretchy fabric. 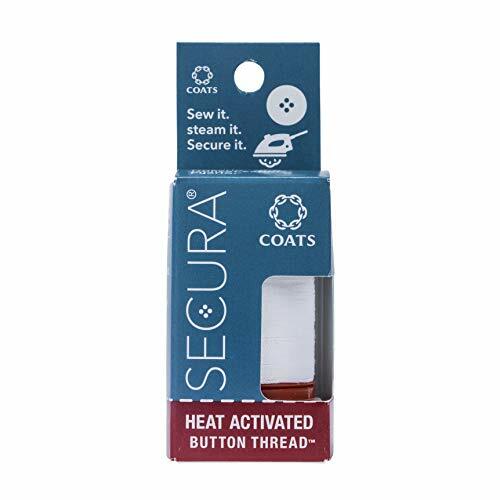 Secura – heat activated self-bonding button thread from Coats. 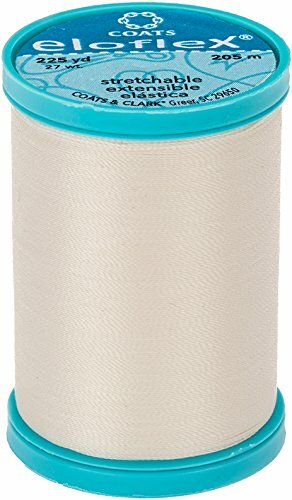 The main thing about this thread is that you will never lose any button if you use the thread to sew it on. The thread strengthens button attachments. First sew on the button with the thread and after that use a steam iron activate the bond and meld the strands together into a single, extra strong unit. 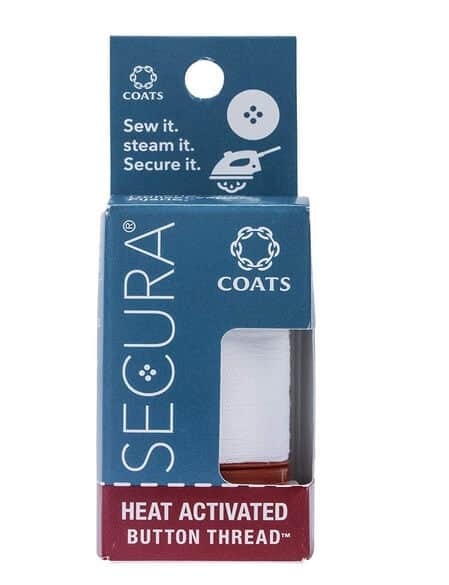 From Coats & Clark this revolutionary thread is a game-changer for sewing on buttons. Sew on your button as usual then heat activate the thread to fuse to itself to create one strong button attachment. Spool contains 100 yards. 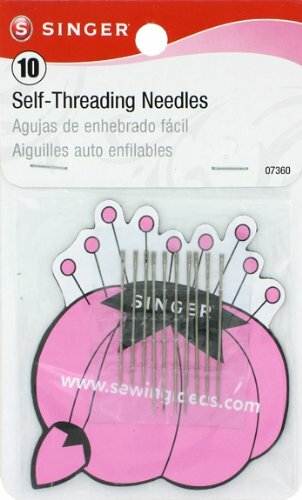 There are two different types of self threading needles – one for a sewing machine and another for hand sewing. 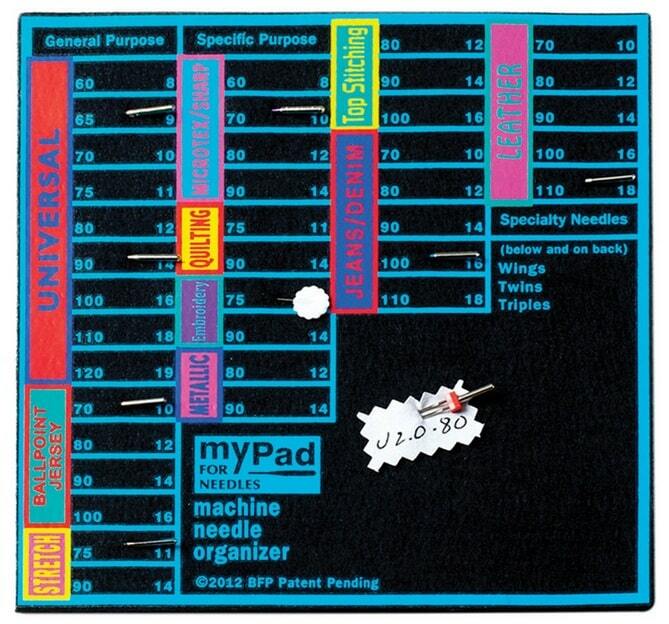 These needles make the task of threading so simple. 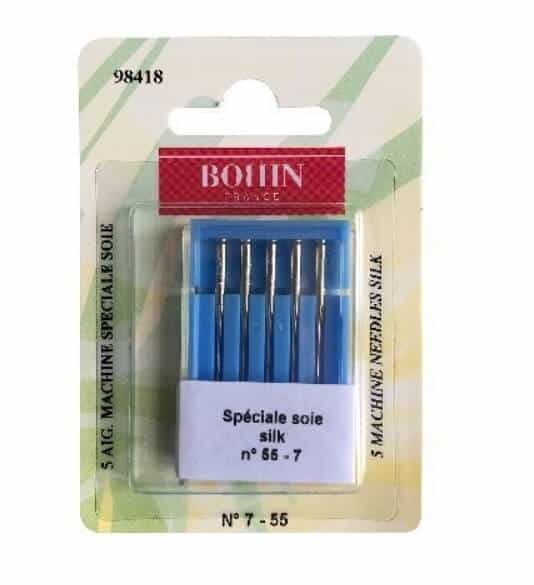 Needles for a sewing machine have a slip-in little threading slot and if you run the thread up and down the needle, the thread goes into the slot and the needle is threaded. There are some complaints from people who use them that they tend to break if you sew heavier fabrics but I used them for sewing lightweight fabrics so they didn’t break in my case. Some people say that they also become un-threaded frequently. So I guess they are not perfect but still it’s really so interesting to know they exist, right? Maybe in the future, we will have a self-sewing needle that would just sew on its own? Do you want to know the easiest ways to thread a needle on a sewing machine? Read my tutorial here. 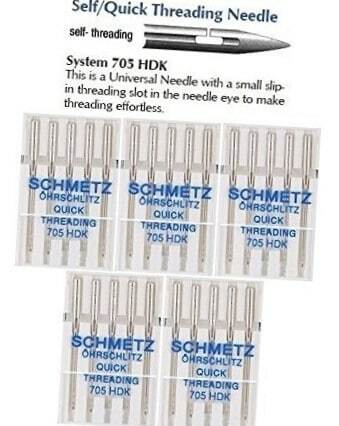 Self-threading needles for hand sewing are also a very useful tool for people having difficulty threading needles. The needle has a groove at the top and you just pull the thread down through the groove. The thread glides through the hole and stays in place. But you can’t use very thin threads, or old threads, because they may break when you pull them down while threading the needle. I also have a tutorial on threading a needle for hand sewing. Check it out. Start Sewing in One Second! Microscopic opening at the top lets the thread slide in yet prevents it from slipping out. Made from high-carbon steel with an 18k gold eye for smooth sliding. Four packages of 12 in assorted sizes. Teflon foot (also known as a non-stick foot) makes it possible to sew and slide over difficult and challenging materials like leather, vinyl, oil cloth, foam, microfiber and suede. We are familiar with Teflon in the kitchen – it keeps foods from sticking to the skillet. But Teflon is useful in the sewing world also. 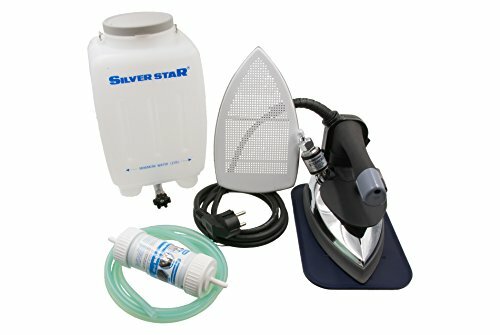 Teflon foot (also known as a non-stick foot) makes it possible to sew and slide over difficult and challenging materials like leather, vinyl, oilcloth, foam, microfiber, and suedes. The biggest challenge with these fabrics is that they don’t move under the foot readily and through the machine like most other kinds of fabric. 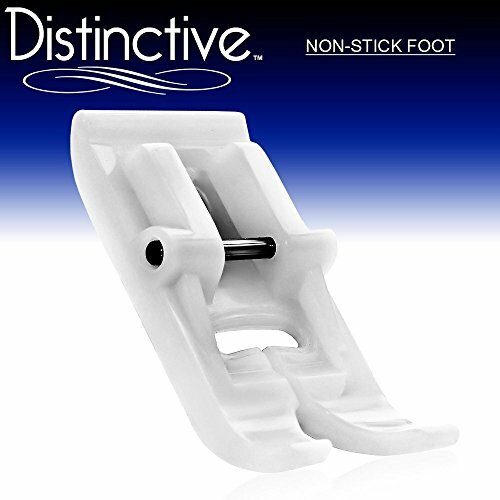 But with this foot you can go smoothly over the stickiest vinyl with no problem. 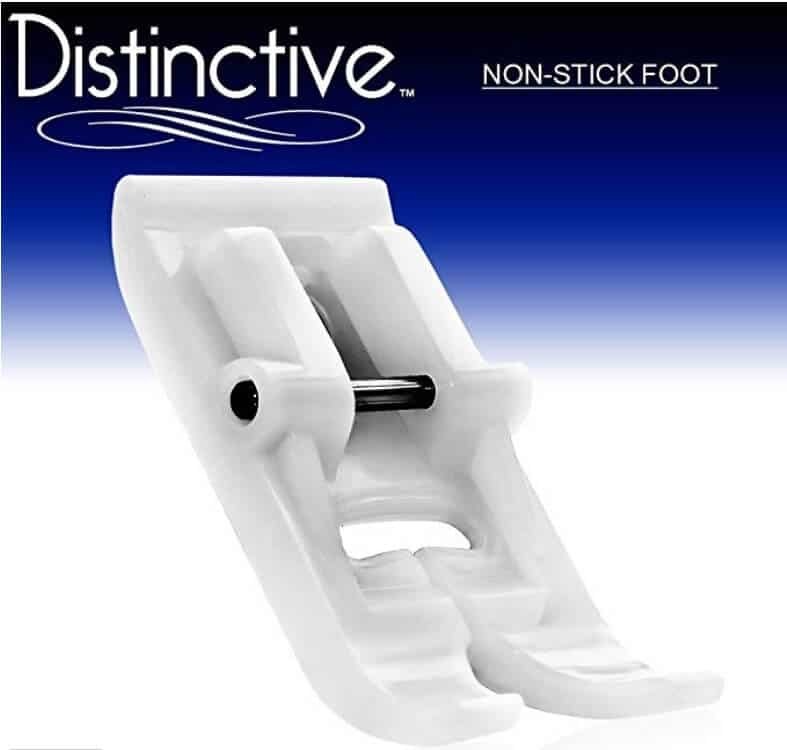 Beware: you will need to buy the foot that fits your machine, most machines are using low-shank feet. I like to use large cones of thread (like 3000 yards or even 5000) on my regular sewing machine and my embroidery machine. 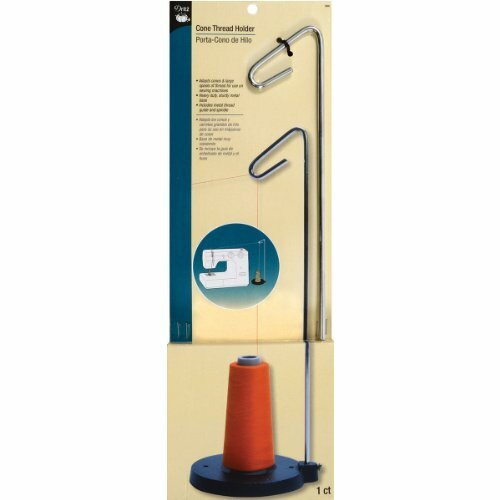 Large cones are much cheaper to buy than smaller thread spools. But most machines don’t have any holder for large cones. Until a few months ago I just used a mug to hold my cones of thread. But now I have this special cone thread holder and the thread moves through it great and it holds the thread at a perfect angle for sewing and embroidery. At the same time it holds the cone in place. It’s lightweight but strong and firm non-fusible, non-woven interfacing for altering, duplicating, and tracing patterns. It is also inkjet printer safe, making it ideal for printing pattern pieces for extended use. It also doesn’t stretch which is important for making the pattern. 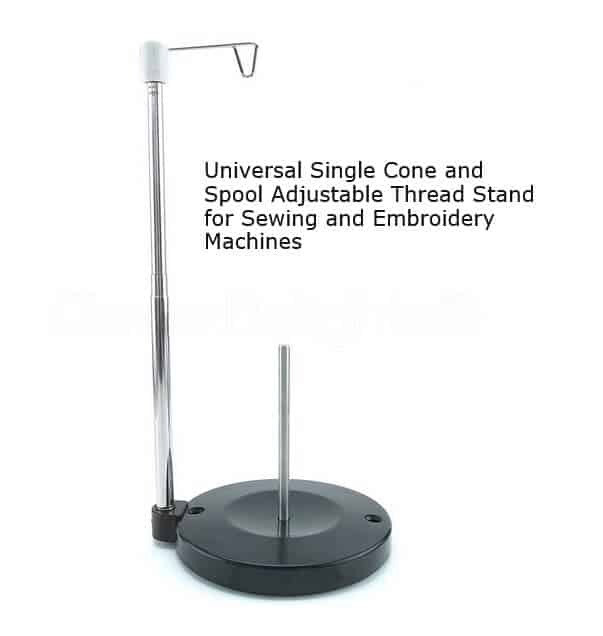 This is a great product to keep in your sewing room. It’s not crisp or stiff like regular tracing paper, it’s more like sew-in interfacing, very soft and pliant. It is semi-sheer, so you can see through it to trace your patterns. It’s also sturdy, so you can draw on it with a pen or pencil, cut patterns from it, pin them together, and even baste them either by hand or machine. It’s excellent for tracing your patterns before making alterations, so you keep your original pattern intact and make any changes to the traced copies. Soft, Flexable, Tough, and Durable! 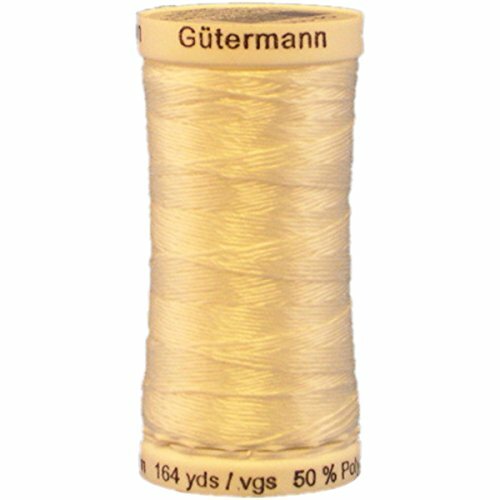 Very thin needles that allow sewing very delicate fabric without damaging it. 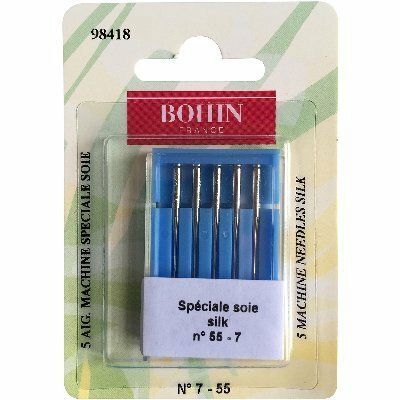 WOW, sewing machine needles size 55/7. I didn’t know they existed until I got some. I didn’t read about these needles on any sewing site. I used one of the needles to sew silk chiffon (with silk thread) and it worked so nice! I took stitches out and there were no holes in the chiffon! Unfortunately, the needles seem to be out of stock everywhere, but this does not mean they will never appear. I certainly will look for them. Check out my tutorial on sewing delicate silk fabric here. 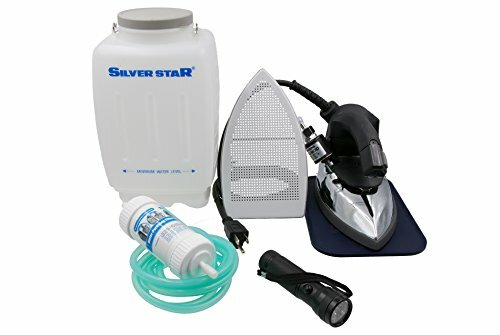 Unlike a standard home iron, it has a large water reservoir (in my case, 4 liters) that is suspended from a hook above the ironing board. Magic Non-stick Shoe allows you to kiss your press cloths, wrong side pressing, low temp settings, and all the slow, tedious, time-consuming ways that prevent unwanted shine goodbye! These scissors provide protection against accidental nips to the main fabric, while allowing a very close cut on the seams. I can’t believe I waited so long to get a pair of these scissors. 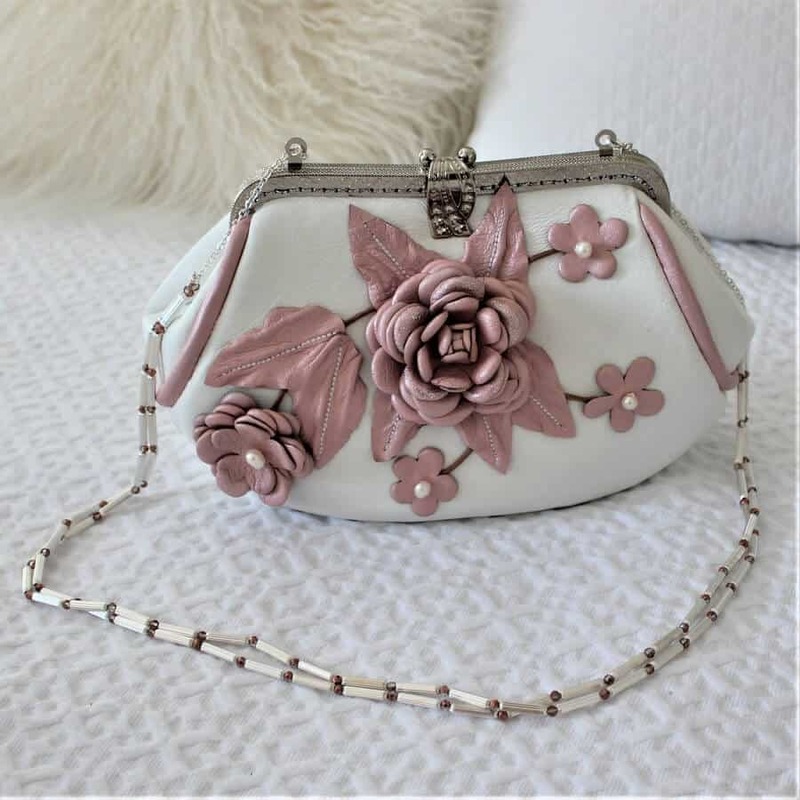 They are very handy if you like to make appliques, embroidery, or need to trim batting or thick stabilizer away from seams and not to cut the fabric below. 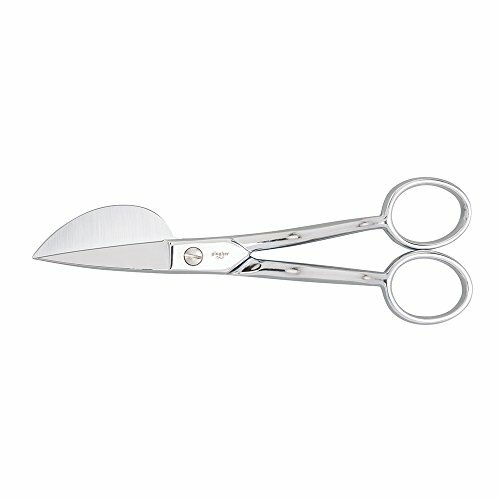 They are ideal anytime you need to get cuts close to the seams.These scissors provide protection against accidental nips to the main fabric, while allowing a very close cut on the seams. I get right next to the stitches without cutting anything extra. 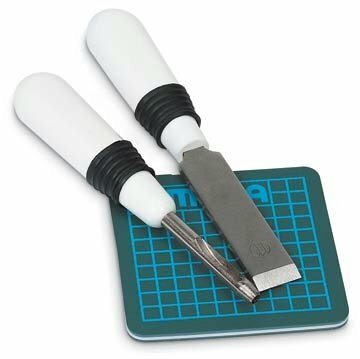 This is the perfect tool to use on trimming and re-shaping the appliques especially on tight curved corners for a clean polished finish. 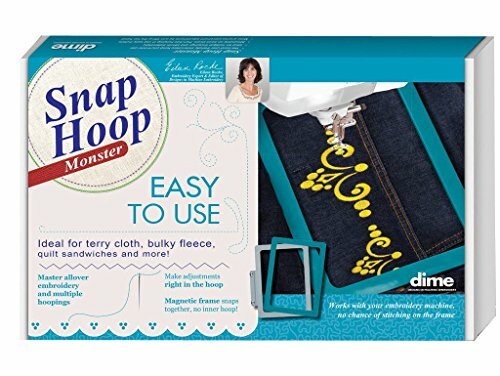 When you are doing appliques in the hoop with your embroidery machine you can do easy trimming without removing the hoop from the machine. Ergonomic design and very light weight for reducing hand fatigue. 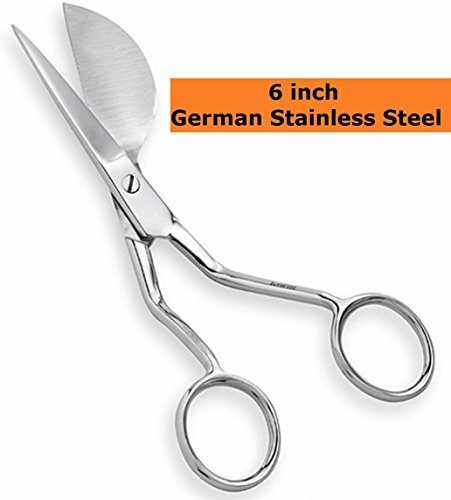 These Scissors can be resharpened / adjusted if required. Thin chalk pencils used to mark the fabric. Light chalk for dark fabric, dark-colored chalk for light colored fabric. I had good experiences with “Dritz Quilting Chalk Cartridge Set” and I feel it needs a mention as a very useful tool; however I see also that many people complain that the marks, once on fabric, are difficult to remove. So while I personally did not have this problem, it needs to be mentioned. It is also true that I have never used liquids or chemicals to remove the chalk marks, I always simply gave the fabric a good shake outside or brushed it. 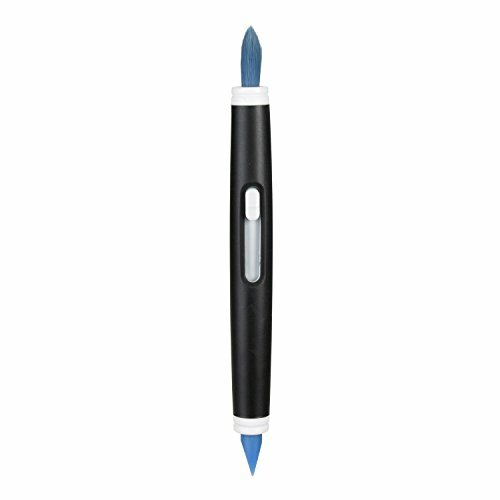 Another similar product is the “Bohin Extra-Fine Chalk Pencil”. It has a very fine white line which is easy to brush off when done. It is super fine but sturdy and doesn’t break easily. It’s good for making detailed marks. Of course I use it on dark fabric and I found that keeping the pencil at a slight angle and not perpendicular to the material works slightly better. The angle is great to cut the thread close to the fabric and to get into difficult places. 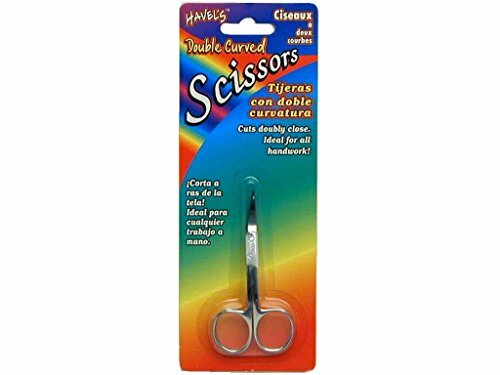 I bought these scissors for my machine embroidery projects mainly to cut jump stitches while the project is still in the hoop. 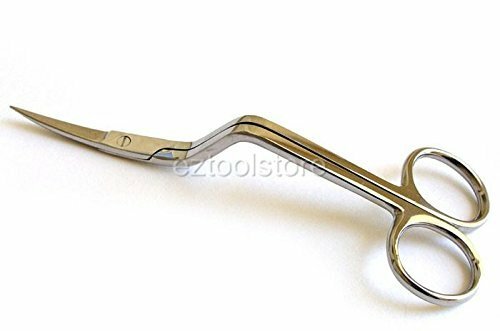 But soon I’ve discovered that because of its awesome curved shape they are so useful for cutting any sewing thread or yarn (not only embroidery thread) without any risk of cutting the fabric you are working on. The angle is great to cut the thread close to the fabric and to get into difficult places. And they have stayed sharp under some serious use. 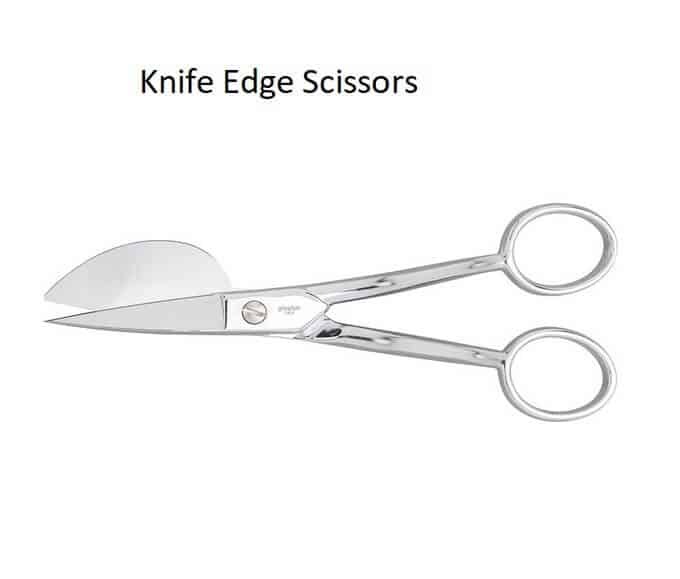 There are many types of double-bent handle scissors, in all sizes, some examples are below. 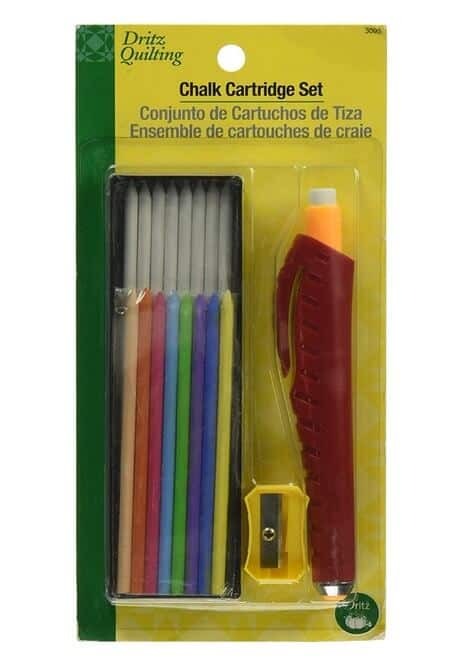 Always go for the ones with a good review, in sewing, like in any trade, it really pays to have good tools! 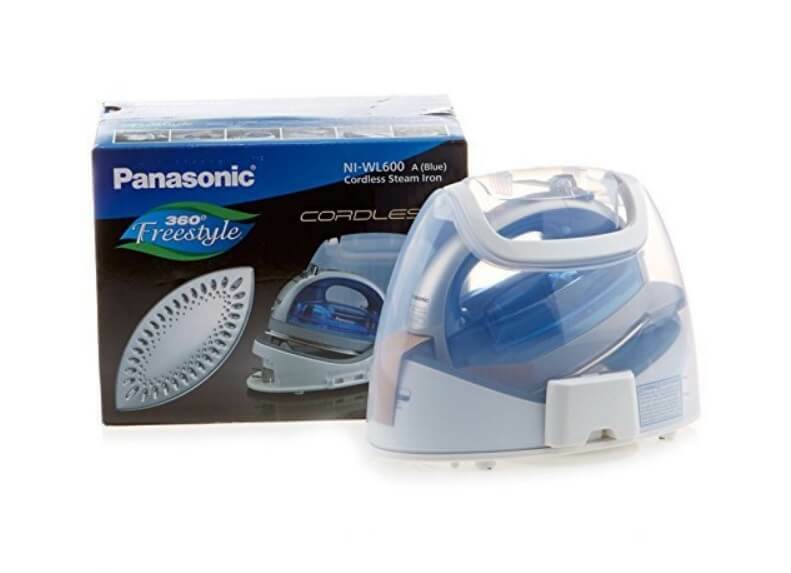 This iron has many great features but the main one that everybody likes is cordless technology. The cord on other models always got in the way, right? I love NOT fighting an electrical cord. The iron moves quickly and efficiently. 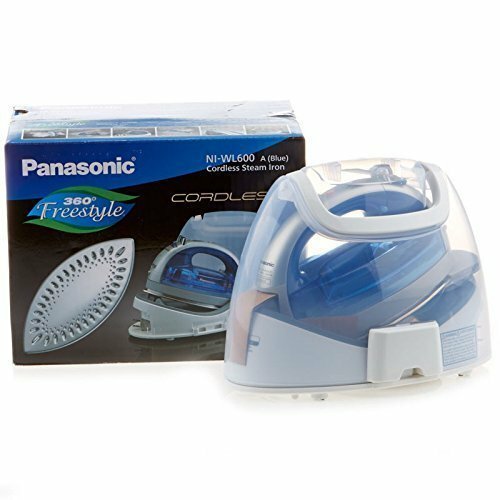 Another very useful feature – multi-directional iron capability with totally curved soleplate for motion in any direction so you can iron with precision, ease, and speed. 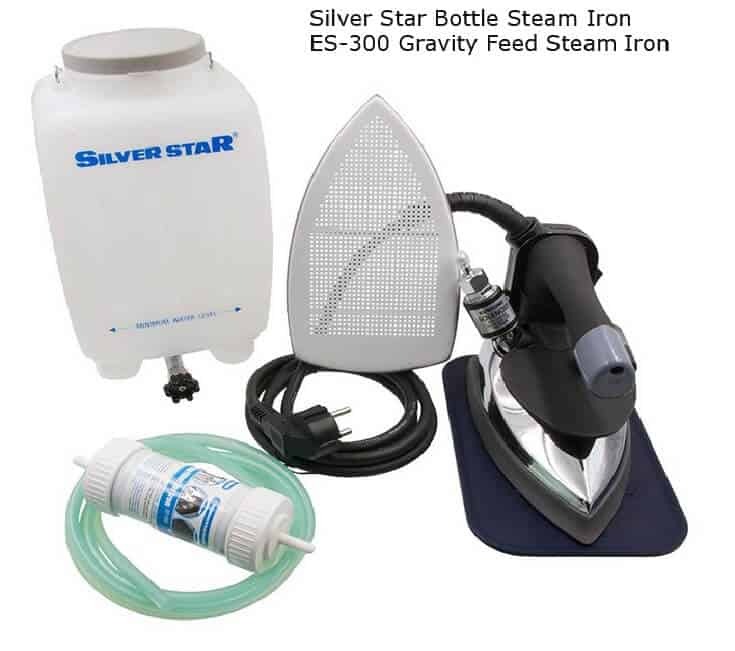 It heats up quickly and steams well….and it’s very light. It’s also convenient that the water reservoir is removable for refilling and it doesn’t dribble water out. Smaller footprint and unique shape makes it easy to get into tight corners. Easy to fill – the reservoir pops off so you can fill from the faucet if you want. It seems to get hot enough for quilting cotton. You can make your own bias tape soooo much easier with these simple and inexpensive tools. Transform any fabric into an accent, border or trim, create the color you need, the pattern you want. Just pull the fabric through and iron it. The tool folds the fabric into perfect halves automatically, make bias tape in minutes instead of hours. Every piece has clearly marked sizes. 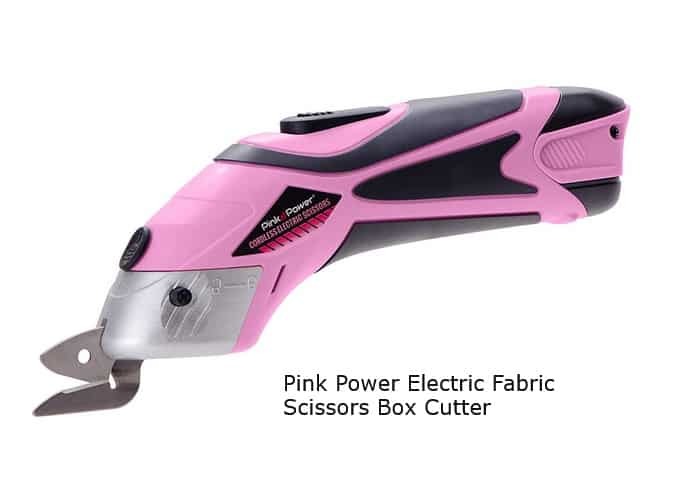 This tool is battery powered heavy duty craft scissors. You can easily cut through fabric, leather, carpet, metal, paper, corrugated cardboard, plastic, wrapping paper and more without any effort. 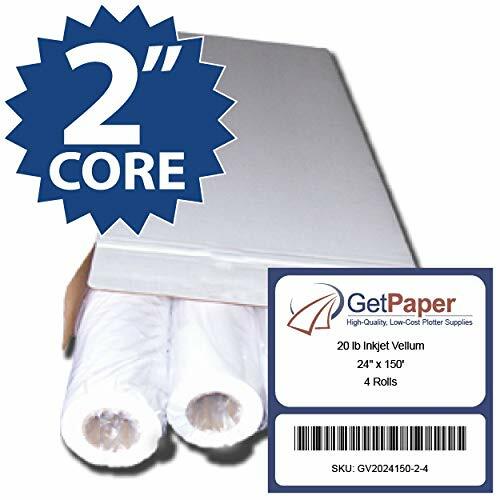 Easily cut through fabric, leather, carpet, metal, paper, corrugated cardboard, plastic, wrapping paper and more. 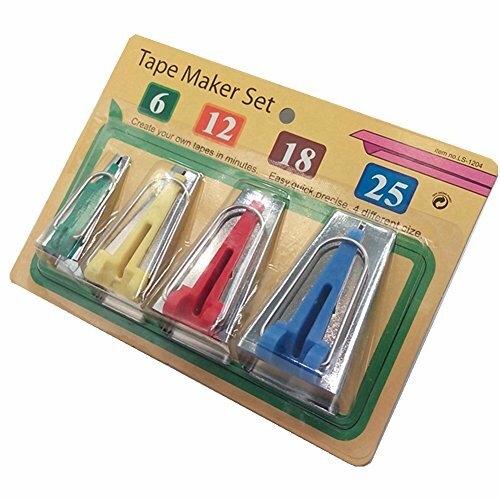 Great for craft projects, cutting fabric, dressmaking, sewing, quilting, scrapbooking or just opening packages. No need for a craft cutting mat. Replace your rotary cutter and other sewing accessories with our battery powered heavy duty craft scissors. Two specialty blades will allow you to zip and snip through any project big or small. 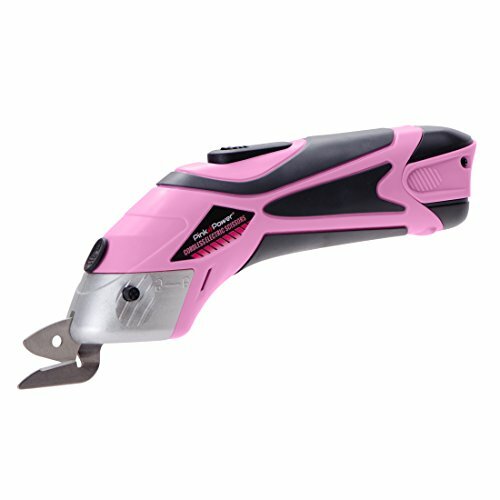 This professional electric cutter doesn't require additional batteries and comes with our rechargeable Lithium-Ion battery which offers a full 1-2 hours of usage. Each purchase of our power scissors comes with two blades, charger, lithium ion battery and a full one-year warranty. Scissors work for left handed and right handed users. Effortless one-step method to hoop and align heavyweight fabrics. Simply lay your fabric over the metal bottom frame and snap the magnetic top frame in place. It’s perfect for bulky fleece, bath towels, leather, quilt sandwiches. It can hold all three layers of a quilt sandwich, eliminate hoop burn on some special fabrics (like velvet), also you will not even need adhesive stabilizers or sprays for heavyweight fabric. Easily achieve flawless continuous embroidery. Stitch all the way to the edge of fabrics, secure fabrics using two, three or all four sides of the hoop for flawless allover embroidery. Please make sure the hoop fits your particular machine, the model presented is for Brother/Babylock (various models). 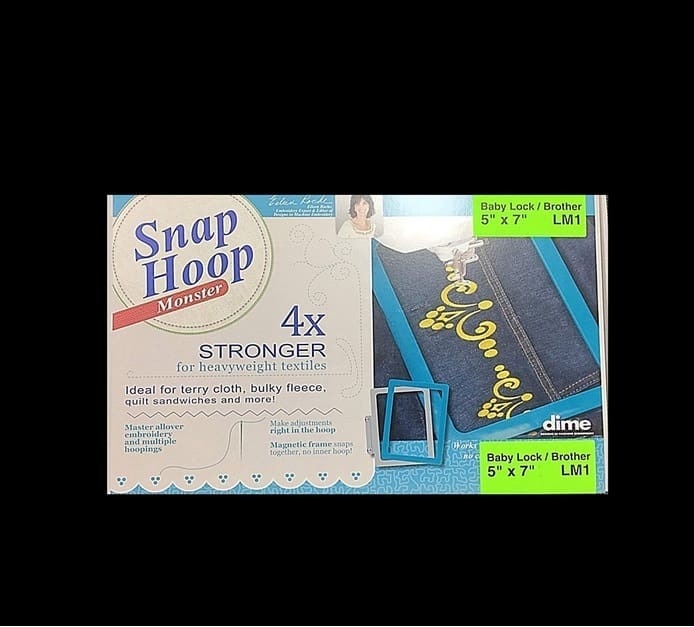 I have had various embroidery machines since 1997 and the magnetic hoops eliminate the often traumatic process of hooping heavyweight fabrics. Although these are not cheap, it was, for me, well worth the price to make my embroidering both easier and more enjoyable. A lever you manipulate with your knee to lift your presser foot, which means you can use BOTH HANDS to manage fabric under the presser foot. Did you discover your sewing machine knee lift? I kept it in the drawer for years but as soon as I tried it I realized right away how handy it is. If you need your two hands to hold fabric while you are sewing and trying to maneuver it then this is the solution for you. Not every machine has a knee lift option, unfortunately. Check with your sewing machine model. I have a Memory Craft 6600 and mine looks exactly like the one in the image. 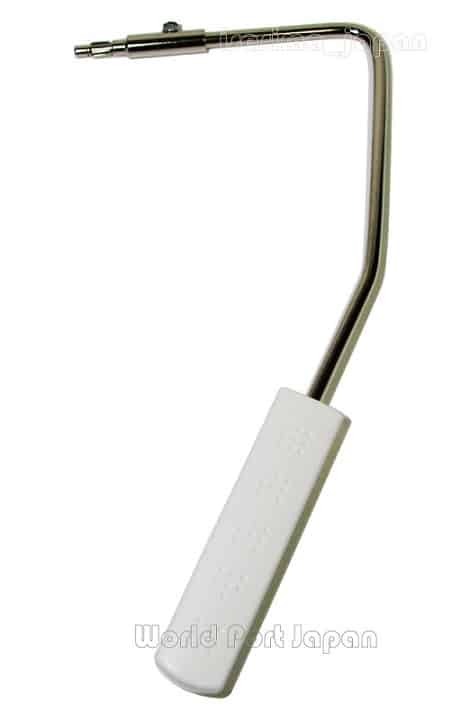 This tool is a lever for raising Pressure Foot using a knee. Horizon of Janome. The knee lifter for memory craft 8900. The function is added more newly than the conventional product. It can adjust a position with the screw attached on the lever. The angle of a lever can be adjusted according to a position in the knees. 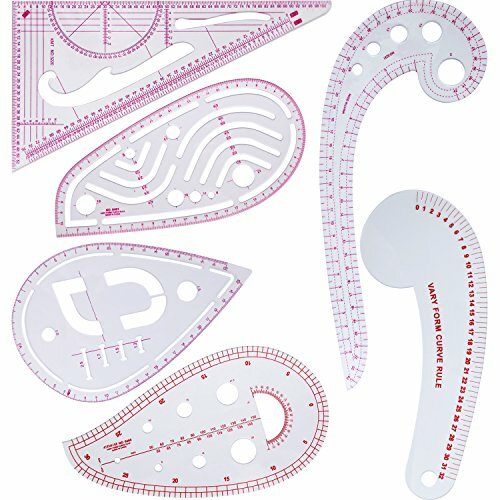 French curve ruler is a very useful tool for pattern alteration and pattern drafting. Use it for pattern drafting, pattern adjustments, garment alterations, or anytime a curved edge is needed. It has smooth edges, offers a variety of curves on it and has multiple markings for measurements. I like plastic better than metal so I can see through it but aluminum is sturdier. 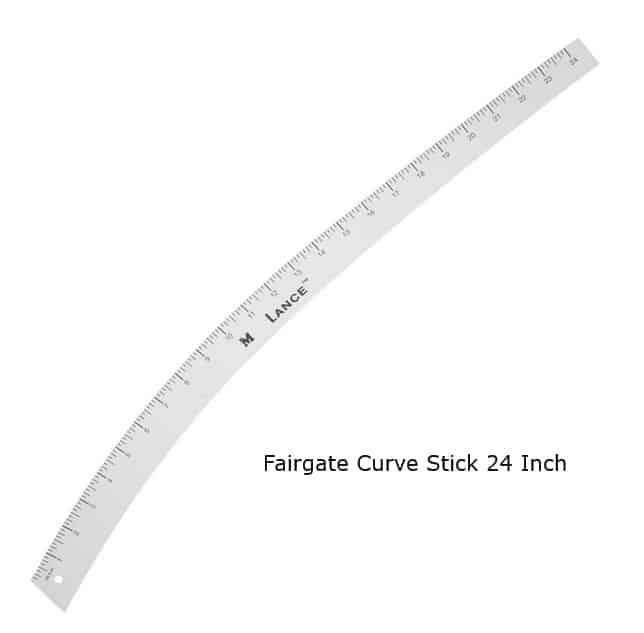 The Fairgate curve stick is a very popular contour. Used for lapel, elbow, skirt, slack, trouser, or anywhere a special contour is needed. 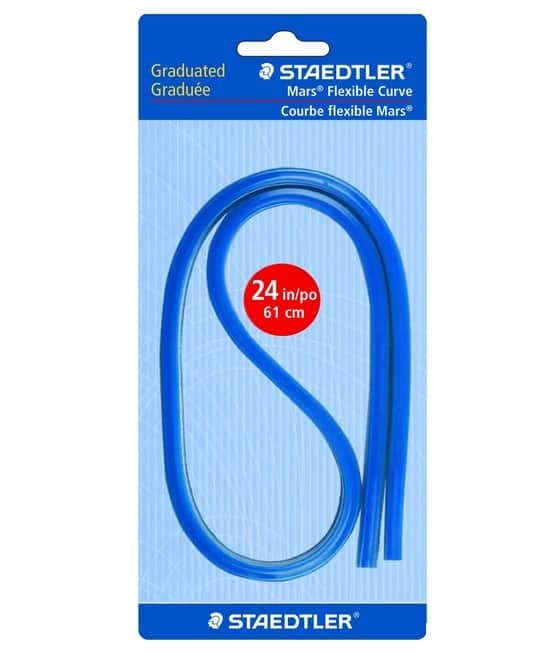 As the title says, this ruler can be bent to follow a curved shape. 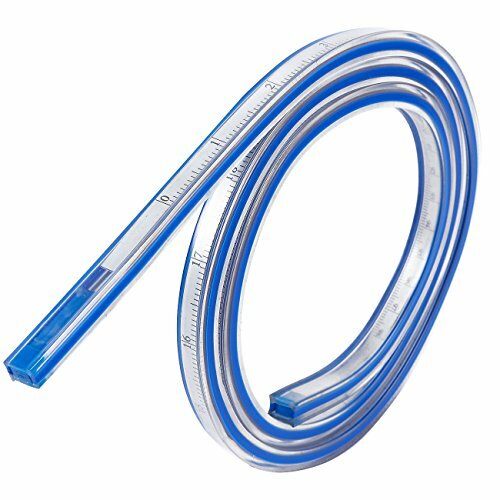 I use this flexible curved ruler mostly for measuring curved pattern lines, like necklines, arms, etc. and it does an excellent job. For example, I can measure precisely my neckline and then cut a bias strip exactly the same length. It’s the ideal tool to get exact crotch length and shape measurements. Once formed to the shape I want, it holds its position. Then I can transfer it onto paper. FLEXIBLE RULER: This flexible ruler comes in centimeters and inches. Numbers are printed in black against white for easy reading. 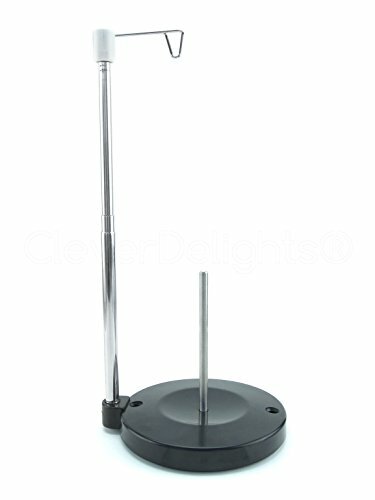 RANGE: You can measure any curve surface and object up to 40 inches and 100 centimeters. FLEXIBLE: It can be bent and curved to measure different shapes. USES: Ideal for costume designers, tailors, DIY lovers, and engineers. 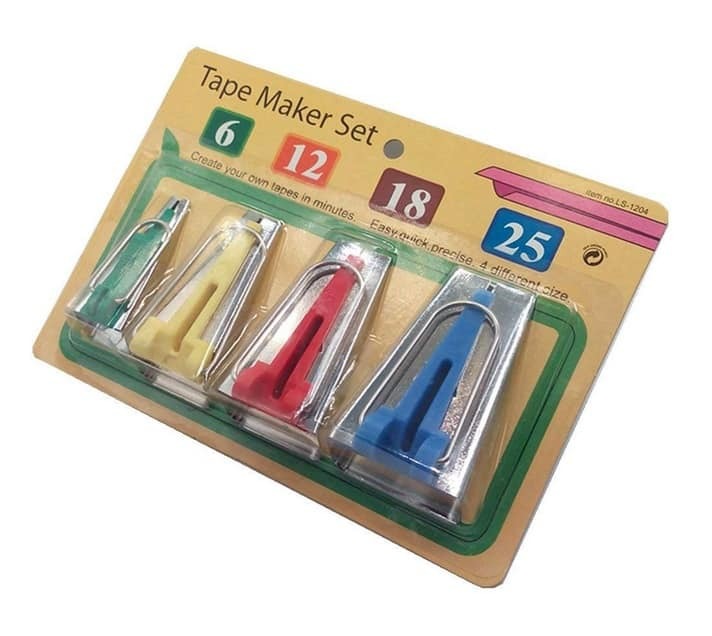 They are great for sewing and quilting projects. DIMENSIONS: Can measure up to 40-inch or 100 centimeters. The width is 0.8 inches. Stiff, semi-transparent paper. I use it for tracing patterns in preparation for a project. Vellum paper – what a wonderful invention! I use it to trace my patterns, I never cut the original. This has multiple benefits: first, I always have the original pattern intact in case I need another size, or to redo something. Second, any alteration or changes to the pattern are easy to make since they are made on paper first, so mistakes are easily corrected. For example, I frequently choose one size for the bottom and a different size for top, to better fit my body. 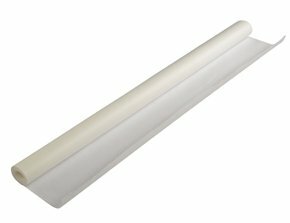 I usually use rolls of vellum from which I cut pieces as needed, usually 24” or 36” wide of 20lb vellum. 16lb vellum is also good but it is not so sturdy as its thicker cousin. 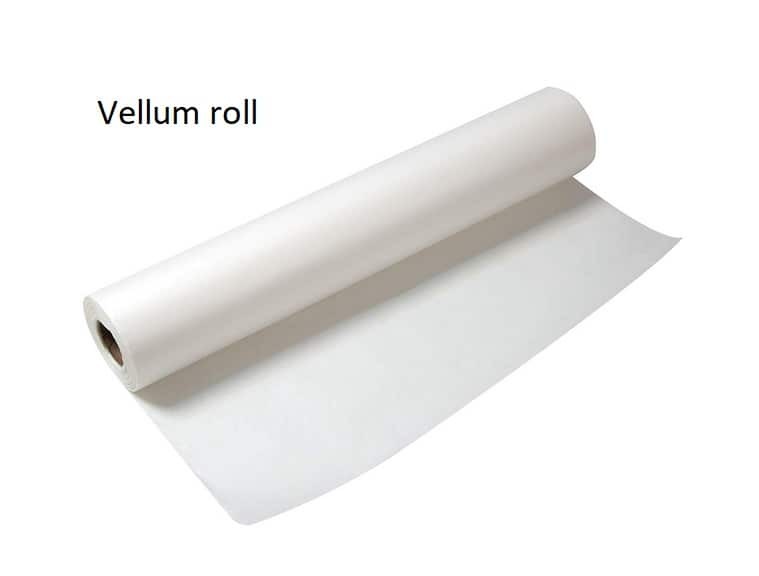 When choosing vellum I am influenced mainly by price, usually buying whatever is more affordable at the moment of need. I buy such paper perhaps every two years or so. Right now the following on Amazon seems to be a good value and will last for years, or you can share with a friend. 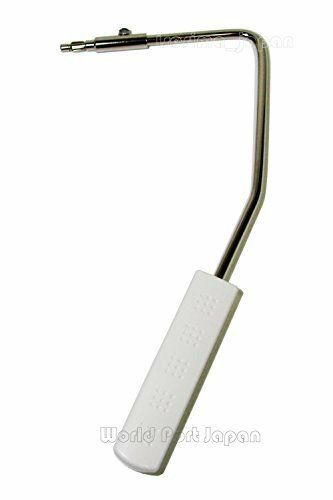 I find this OXO electronics cleaning brush very useful; it is excellent for cleaning hard to reach places on my sewing machines and because the work end is silicone, I can be sure it will not fray and leave residue or bristles behind. This wrist attachment contains a strong magnet that holds pins. I also use it to easily grab pins from the table after work. One very useful device is the “Magnetic wrist pin caddy”; I am using it because the pins are easy to pick up from the table (or when they fall) after work, or during work. This cutter makes the job of opening buttonholes or small cuts on fabric easy. I used to cut buttonholes with scissors but that was too imprecise and I kept cutting the stitching. This tool is exactly what I needed, it’s extremely sharp and absolutely perfect for cutting buttonholes open. Includes straight cutter, keyhole cutter, and a 2" square mini mat. Handy pad where ypu can see all your needles at a glance, no need to search all drawers and boxes for the right one in the middle of a project!